NAHANT — Nahant cops are ditching the clippers for a good cause. 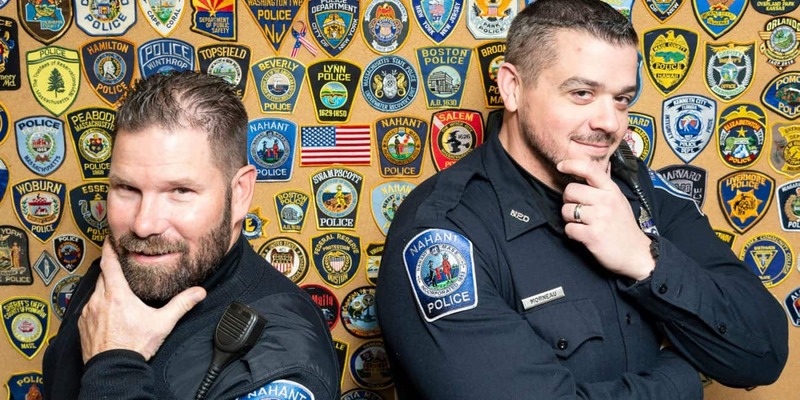 Officers have chosen to pledge money toward Cops for Kids With Cancer, a nonprofit that benefits families of children battling the disease, in exchange for beard-growing rights for the second year in a row. Others who chose not to grow a ‘stache still made financial contributions. The Massachusetts-based organization made a donation to a Nahant family two years ago when their then-19-month-old daughter, Mila Martineau, was battling cancer. Families in Saugus, Swampscott, Marblehead, and many other surrounding families have also benefited from a donation. Cops for Kids with Cancer was founded by John Dow, a retired police captain and cancer survivor. While in the hospital, he noticed a lot of sick children and the financial hardships their parents faced after taking off work or leaving their jobs to bring them to and from appointments. Dow began donating funds to families of police officers and giving the remainder to other families of children with cancer who needed it. Dow died in 2007 and left the organization to the Board of Directors, which has since grown to include more than 20 members. Today, Cops for Kids With Cancer donates $5,000 each to six families each month. The organization has given to more than 480 families, totaling more than $2.4 million in and around New England. While cancer is tough on anyone, watching a child suffer from the illness is especially difficult, said Sgt. Stephen Shultz. “You always want to defend the kids and take care of them,” he said. Though not all officers with the department are sporting a furry face — either they opted not to or their beards grew in too patchy — they’re all on board with the same mission. The department has already raised $1,000 internally. Last year, Morneau said he was blown away to learn Nahant Police raised about $4,000, with donors from as far away as Florida. Since each child who benefits from the program receives a $5,000 gift, Chief Robert Dwyer made that this year’s goal. Donations can be made at the Nahant Police page on the Cops for Kids With Cancer website.